Greenwood Cemetery contains over 1,000 stones and is an example of old and new burials spanning over 175 years. 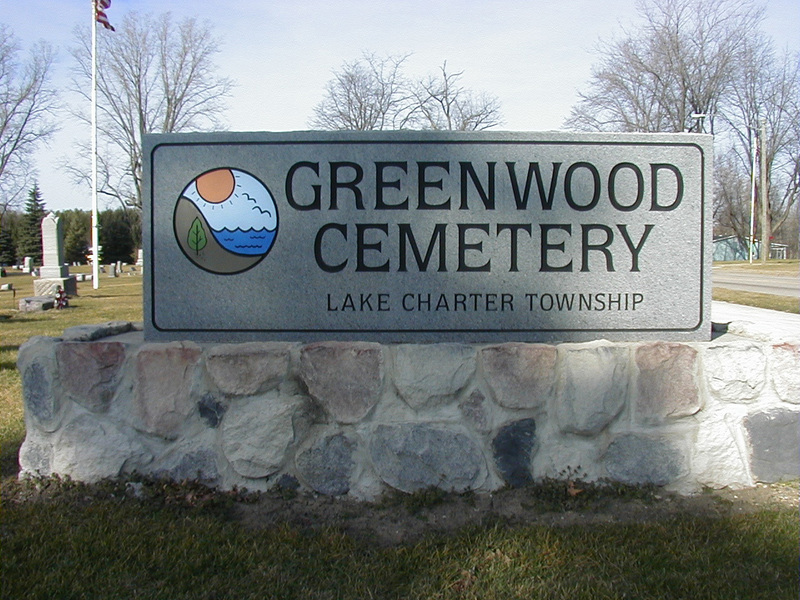 Greenwood Cemetery at one time belonged to the City of Bridgman and was later turned over to Lake Township for reasons dealing with maintenance and upkeep. Having the present Michigan State Police Bridgman Post occupy the property directly behind the cemetery gives it a little reassurance that vandals don’t stand a chance. From “The History of Berrien and Van Buren Counties, Michigan”, published by D. W. Ensign and Company in 1880. It is uncertain if this pertains to Greenwood Cemetery but this would put an estimated opening date of between 1850 and 1860. The earliest burial records found are that of William H. Murphy and his wife Mary A. Murphy. William died on April 20, 1826 and Mary died on May 16, 1837. No other burial dates are close to these dates and the next ones don’t start again until the mid 1860’s. Appearing on the Lake Township Plat Map for 1903, Greenwood Cemetery borders the Pere Marquette Railroad to the East and is surrounded by the Frank L. and Sarah E. Ackerman property. Both Frank and Sarah Ackerman have their final resting place in Greenwood Cemetery: Frank died in 1934 and Sarah in 1928.